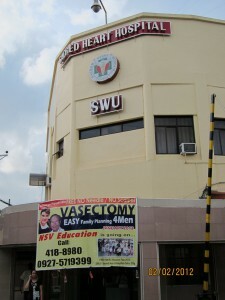 Mission of 2012 | No-Scalpel Vasectomy International, Inc. The 2012 NSVI Mission Team was our largest ever. Given our success in Cebu City over the past two years, we decided to eliminate the time and expense of travel within the Philippines and take advantage of the warm reception that we get every year from Southwestern University and Sacred Heart Hospital. 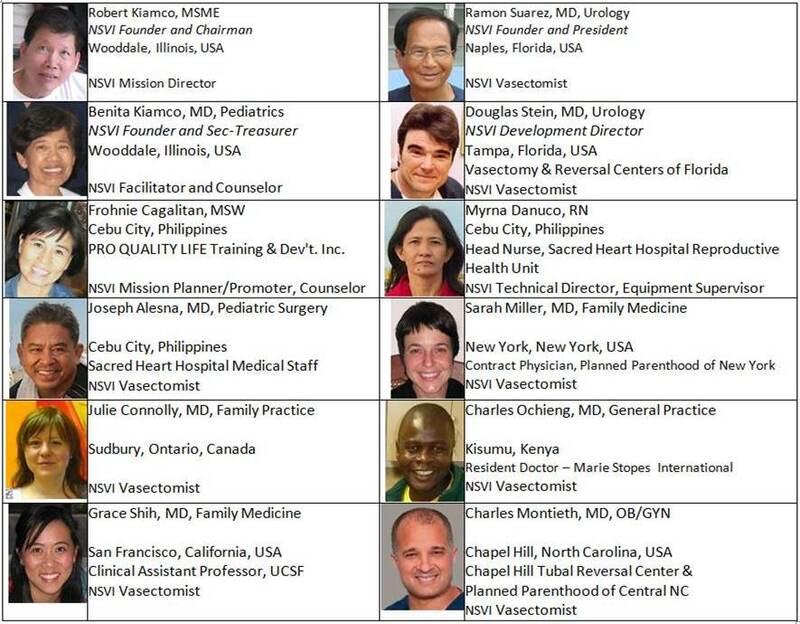 Vasectomists trained by Dr. Stein in Florida were invited to join the NSVI 2012 Team. Participation required that they pay their own way to Cebu and that they donate $1000 each to NSVI to offset NSVI’s expenses: equipment, supplies, assistants, and patient compensation for transportation and loss of wages on their vasectomy days. Three US vasectomists and one Canadian vasectomist accepted the offer. In addition, Charles Ochieng was sponsored by NSVI to come to the Philippines from his home in Kenya, where he himself will host NSVI during our first mission to Kenya in May 2012. By observing a successful mission firsthand, he learned what it would take to develop a vasectomy program in his own country. Sacred Heart Hospital (SHH) and Southwestern University have graciously hosted NSVI for 10 years. The minor surgery room at SHH is so large that 4 teams could perform vasectomies simultaneously. The Team poses with a group of happy patients, now empowered to nurture the children that they already have without fear of adding to their burdens with even more.